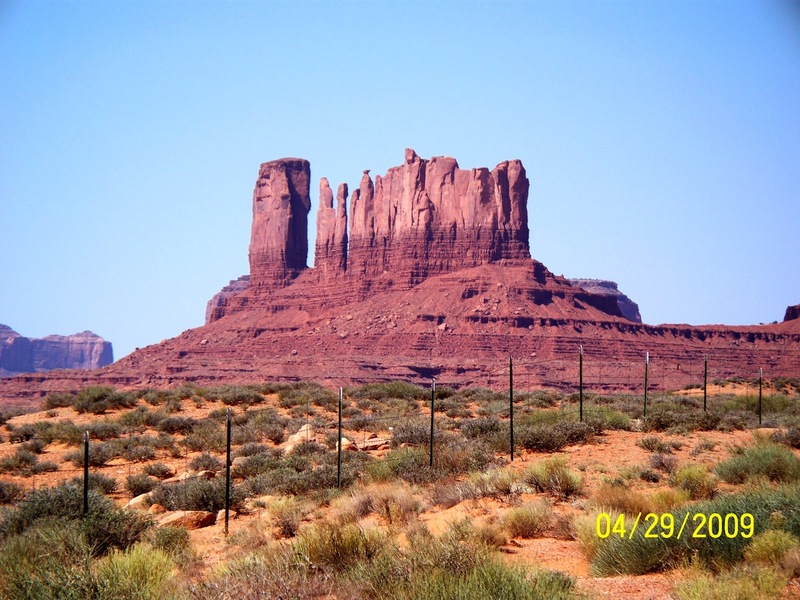 In April 2009, Kathi and I visited monument valley in Arizona. This post is more about our adventures before and after we got there. 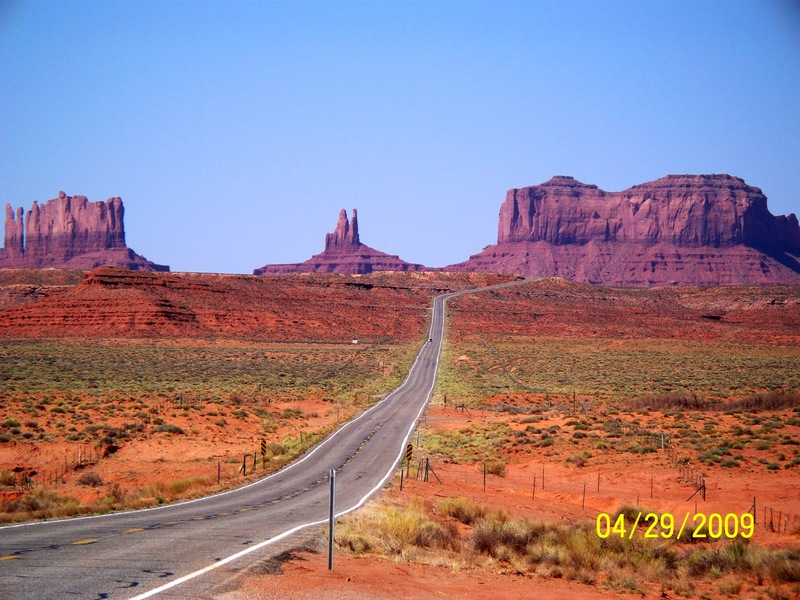 Monument Valley is on the Utah Arizona border and is southwest of what is commonly called four corners. 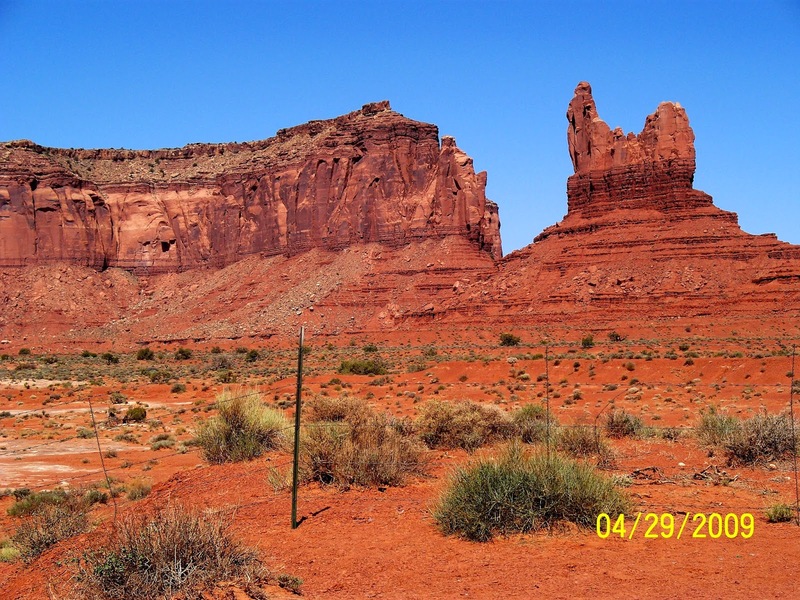 This is the spot in the Colorado plateau where (in clockwise order) Utah, Colorado, New Mexico and Arizona meet. I heard a few years ago that they moved the marker that designated the spot where you can stand in one spot and touch all four states. It had been misplaced for years and the error was discovered after GPS satellites became prominent. 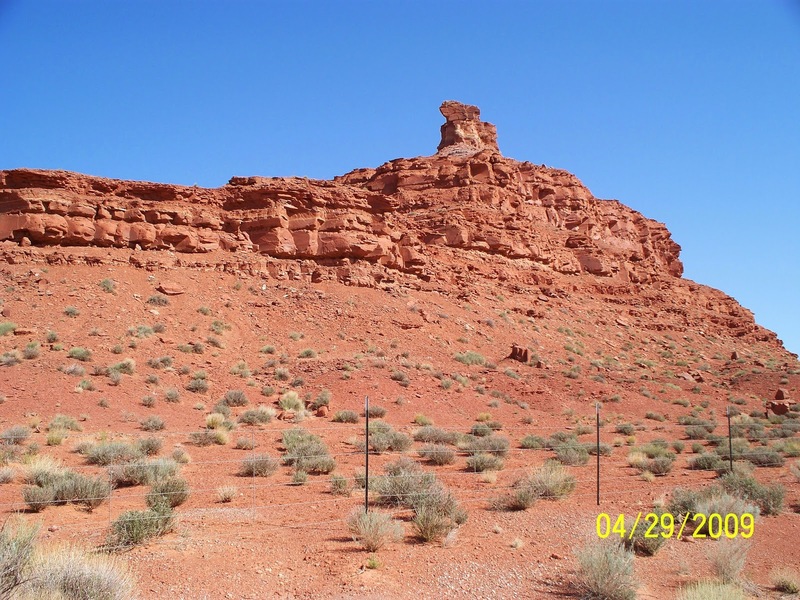 We couldn't find any reasonably priced RV parks near Monument Valley, so we stayed in Bluff, Utah which is about 100 miles away. On the way to Bluff our Alfa motorhome started emitting soot and we lost power. We parked at the Cottonwood RV park in Bluff and arranged for a tow truck to tow us to a Freightliner shop the following Sunday. They replaced a flex hose that delivers power from the turbo to the engine. This was the beginning of a few arduous months for us because of motorhome problems. We ended up in the shop again in June and had to replace the turbo and some other stuff for a total bill over $5,000. Not a fun time. We drove to Monument Valley during the week. I will have an additional post about our day in Monument Valley. The pictures are of our drive into the park. A great week enjoying lots of beautiful scenery and fun picnics. Let's do it again - without the motorhome problems.